o Won’t choke…pressure is applied at the back of the neck vs. the front of the throat. o Not a muzzle…when fitted properly a dog can open its mouth to eat, drink, pant, fetch, and bark. o Can be used with dogs eight (8) weeks of age or older. o Can be worn up to 18 hours/day. 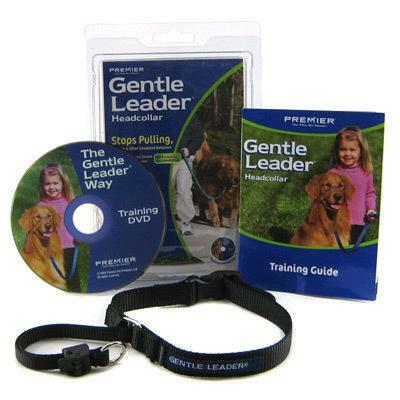 * Comes with easy-to-follow fitting instructions, an abbreviated training guide, and a more comprehensive training DVD. Contact us if you need another color. We are happy to special order any color we do not stock.